The bladeless fan was first invented by the British scientist Dyson, the inventor of the steam cleaner. Because of its unique working principle, this fan has got rid of the fan blade this part, has innovated the fan modelling, simultaneously has led the fan profession the new tide! It was listed as one of the ten world inventions in the 2009. 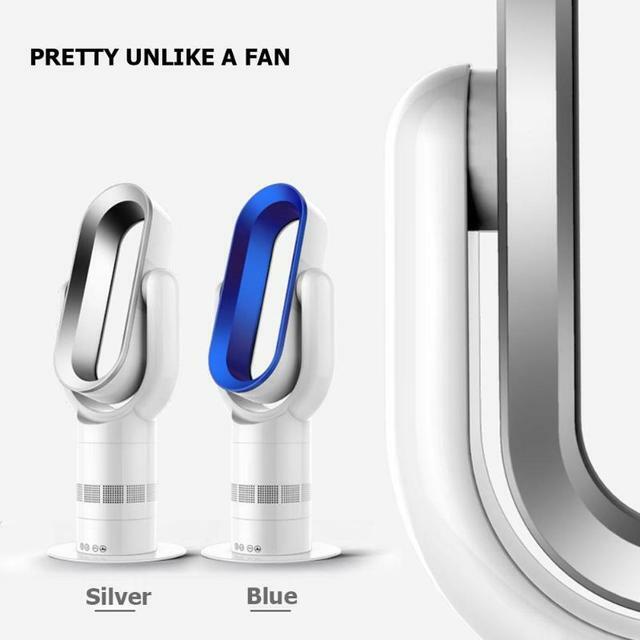 The bladeless fan looks like a huge ring, unique shape, streamlined and refreshing appearance, giving people an incomparable visual effect. The most wonderful thing is that it does not have any blades, but also produces strong cool air. It is more easy to operate and more humanized in design. Bladeless fan design is novel and fashionable, because there is no blade, less resistance, less noise, no pollution emission, so it is safer, more environmentally friendly, more energy saving! The electric motor in the base makes the air inhale the inner of the fan base, and the air flow speed is increased by about 16 times after the acceleration of the cyclone, and the air is driven by the fan head through the inner lip of the fan head of the vaneless fan, and it is blown out at the speed of 405 liters per second. The air multiplier vane fan is also equipped with variable frequency wind speed adjustment device. It is convenient for users to adjust the wind speed according to the actual situation, increase the air volume evenly, not impact voltage, low energy consumption, and half energy consumption of ordinary fan. In addition, since the fan does not have fan blades, it is not harmful to children full of curiosity, and it is easier to clean than ordinary air conditioners and fans. It uses the latest fluid power engineering technology to increase the air flow by 15 times through an efficient brushless motor and release at a rate of 118 gallons per second, combined with the air volume of 1580CFM. 1. Safety traditional fans use blades to produce wind, easy to hurt children’s fingers, and ambush certain dangers. Bladeless fan rotating without blades, high safety factor and no danger. 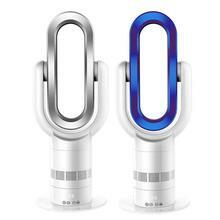 Moreover, the bladed fan is not as heavy as the traditional fan, so it is more stable. 2. Environmental protection uses high quality ABS material, through ROHS environmental protection authentication. 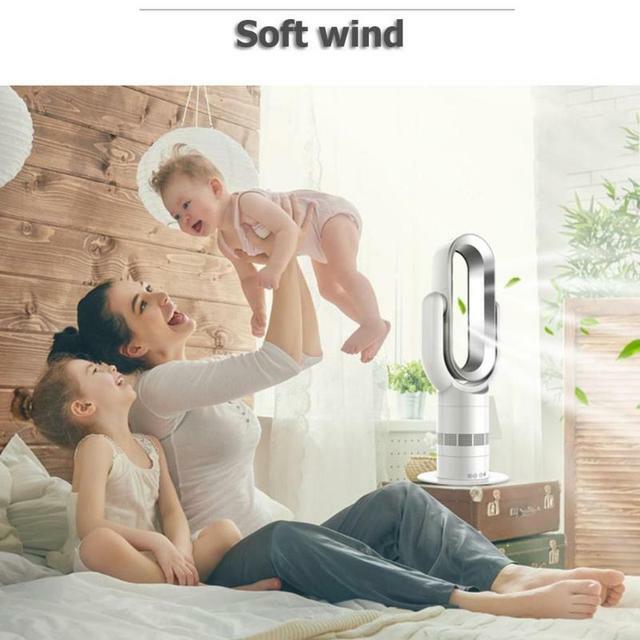 3.Healthy bladeless fan through the air multiplication technology optimization treatment, blowing to the body before the body is 100% of the natural wind, containing oxygen ions, especially pregnant women, the weather is hot, the air conditioning is easy to get sick, no blade fan for pregnant women and babies have a good protection! It also has good health effects for the elderly and children. 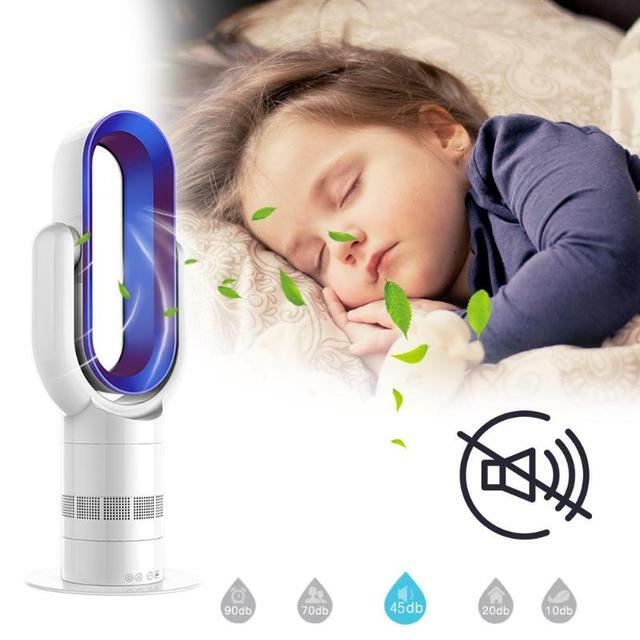 4.Because the traditional fan uses the blade to produce air to push the air, the air flow to the human body will have a dramatic wind impact, not smooth, making people feel very uncomfortable. Bladeless fan can make people feel cool and warm without any impact, steady and comfortable through continuous air flow. 5.The power saving and bladeless fan is half the energy consumption of the traditional fan. Super energy saving! 6.Easy to clean the traditional fan blade structure, cleaning in daily life is very inconvenient, because the need to use a large part of the first dismantling, cleaning, re installation, inspection and so on. 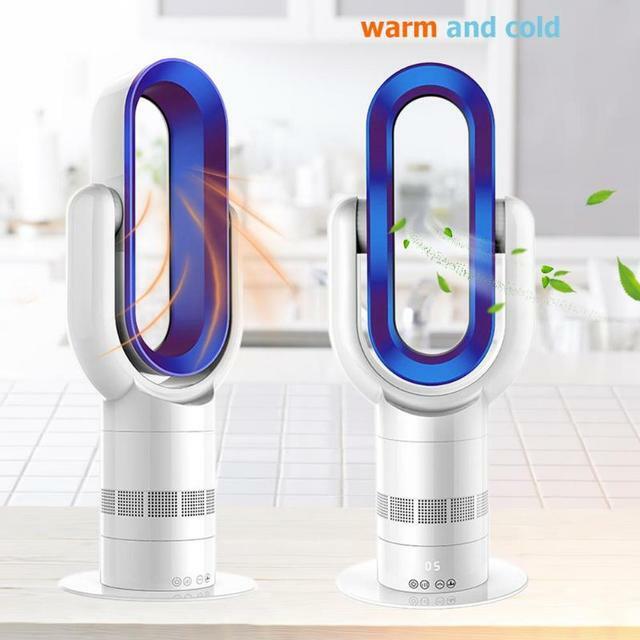 Bladeless fan removable cleaning, usually clean with a piece of cotton cloth scrubbing can be completed in a few seconds, convenient and more time-saving, labor-saving, effective. 7.Creative high quality, whether it is for use or buy to give people, are very good grades. It is also an alternative display at home, highlighting your distinguished taste. 8.The price is cheap, bladeless fan is almost the same as that of a traditional fan, but it is 1/10 of the price of air-conditioning products. 9.Performance is stable using brushless motor engine, normal working life of not less than 35000 hours. 6.90 ° rotary wind , the base does not rotate , remote signal receiving is stronger. 7. Fans that can be used in both cold and warm seasons. 8. PTC heating temperature and double control to avoid overheating. 9. Double chip, double motor, high quality appearance. 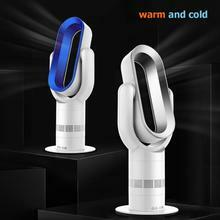 Product Effect: Remote control; Mute; Timing; Bladeless; Cold wind; Warm wind; 360 degree rotation; Various air supply modes. Note:As this product is hot sale, the shape of the plug needs to be shipped according to the existing stock, but the specifications are correct and the corresponding area can be used normally,please understand it.